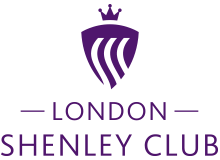 At the London Shenley Club we are pleased to help you in any way we can. Please feel free to get in touch via the form below. Come off at junction 22 – at the first roundabout with the McDonald\’s on the corner – take the 4th exit towards Radlett taking you up over the M25. At the roundabout take the 3rd exit sign posted to Radlett. Turn left into Shenleybury – follow the road to the next roundabout. At the roundabout take the second exit towards Radlett Follow the directions above from point 3. Follow the A1/A41 out of London passing through Mill Hill and onto the Apex corner roundabout – Take the 3rd exit heading north up the A1. Take the 3rd exit off the kidney shaped roundabout towards Borehamwood town centre. Keeping in the right-hand lane follow the road round to the right and then immediately get into the left hand lane following the signs to Well End. Continue along this road for approx. 3 miles passing through Well End and on to Shenley – continue over the speed bumps to the roundabout. Take the first exit at the roundabout and then first left into Radlett Lane and follow the road passing Shenley Park/Orchard Tea Rooms on the right. Take the next right after the park into Shenley Cricket Centre. The nearest train station is only 1 mile away in Radlett and has direct Thames Link routes to Luton, London and the City throughout the day and evening. For all enquiries regarding our venue, cricket matches, weddings or an event, please use the contact form below or reach out to us by phone or email via the details provided. The London Shenley Club provides a unique and attractive year round location for the perfect wedding. Our grounds set in the idyllic Hertfordshire countryside offer a stunning backdrop against which to capture beautiful memories of a very special day. We appreciate you contacting us about your enquiry. One of our colleagues will get back to you shortly.